Amber and Jim’s big day was probably the longest wedding day I have ever photographed and the experience was worth every minute. Amber was one of my good friends while I was in photography school in Massachusetts and I hadn’t seen her or her mom since a photography convention in Las Vegas about seven years ago. I woke up early to shoot the “getting ready” photos. It was the first time I was able to drive our roller skate car. I opened the drivers side door (on the right side of the car,) started the engine and took off driving on the left side of the road. I had never driven a stick-shift or on the opposite side of the road so the drive to meet the girls was an adventure in itself. At 7:30 a.m., I met the bridal party at the hair salon. Amber and all the bridesmaids were in their chairs drinking champagne and getting all dolled-up, chatting about what the day had in store. After starting my day being one of the girls, I then met the guys to take pictures of them playing golf on the course of the country club where they would later be married. Later around lunch time, I went back to the hotel where the girls were hanging out and getting their makeup done. I finally got to catch up with Amber. I couldn’t be happier that out of all the photographers we went to school with, she chose me to be such a huge part of her wedding. Before the ceremony, I took the whole family to the venue to shoot some family portraits, finally getting to see the mother of the bride. After the pictures of the family were done, I got the bridal party together to take their pictures right before the ceremony. 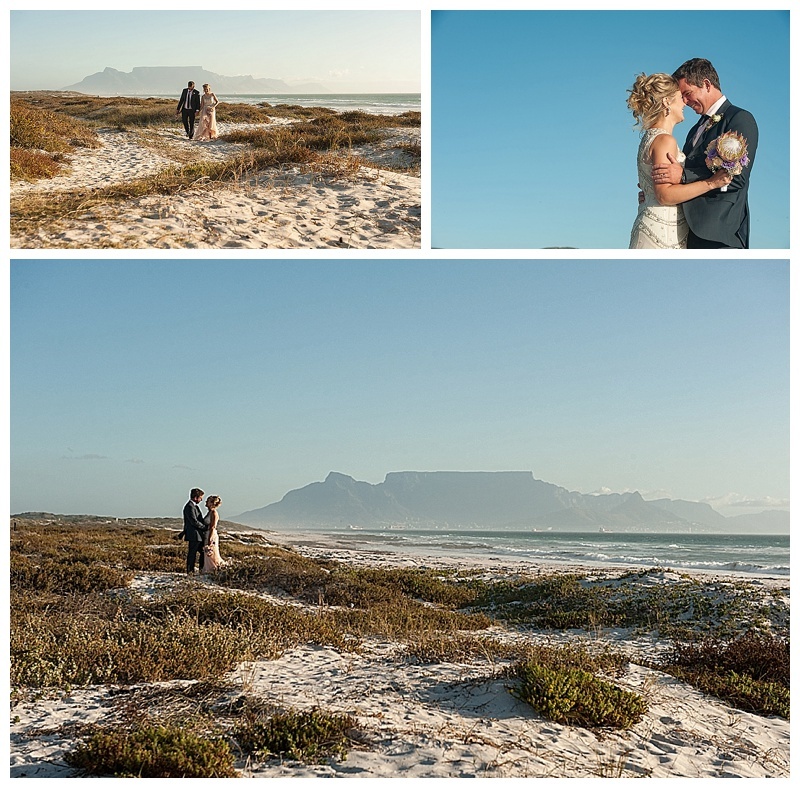 After the wedding, we went to a beach for bride and groom photos with Table Mountain in the background; where the cloud coverage comes over the beach like a table cloth, resulting in a huge temperature drop. 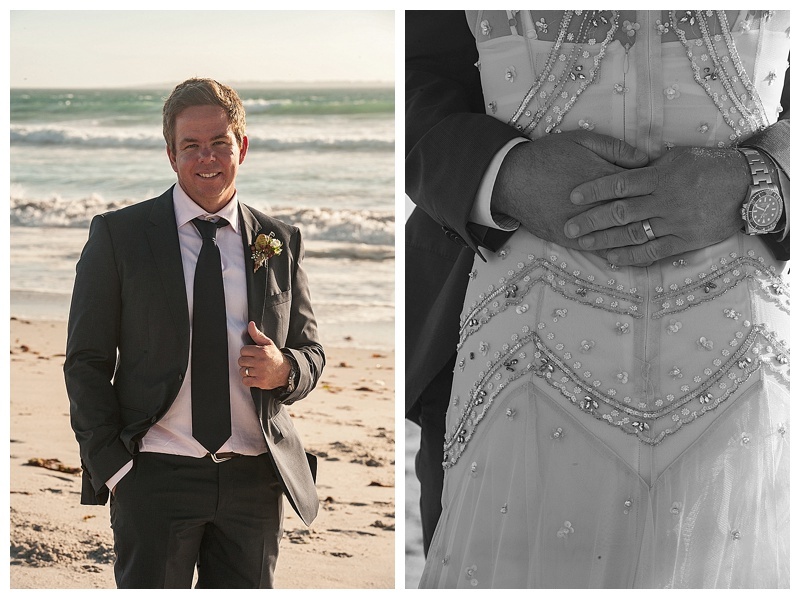 Between the amazing South African food and the 2,500 roses, it was a memorable day for everyone in attendance.